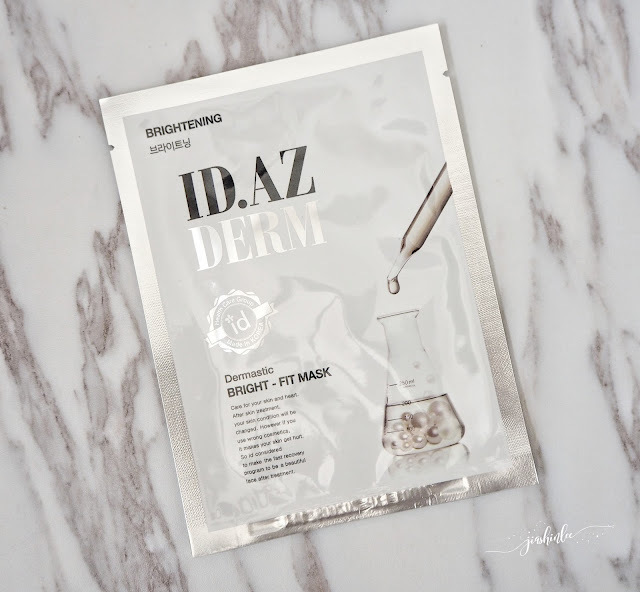 Hi loves, today I am sharing my recent collaboration with ID.AZ Premium Face Mask by ID Health Care Group. To be honest ever since I got pregnant I had no time to take care of my skin resulting it to be very dry and sensitive lately and that's not it I am one of those unfortunate ones who did not get my pregnancy glow. Pregnancy has made my skin worse, it is also really dull because I haven't been sleeping properly. Face mask are really useful and convenient, they are packed with essence to give your skin a huge dose of nutrients and moisture. 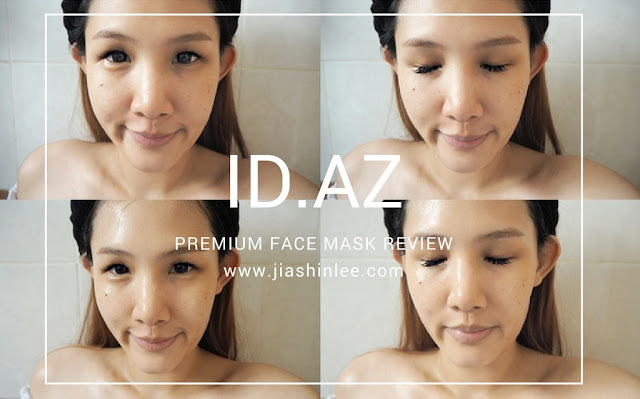 Ever since I got my hands on these ID.AZ Premium Face Mask I've been using them frequently weekly, to be exact 3 times a week, for 10-15 minutes, pampering my skin and spending some me time helps me to relax after a long and tiring day. There are 3 types of ID.AZ mask, ID.AZ Dermastic Water-Fit Mask for moisturizing, ID.AZ Dermastic Bright Fit Mask for brightening and ID.AZ Dermastic Golden Fit Mask for deep nourishing. I really love how all 3 them are made to fit your skin and no matter which one you choose, your skin feels super soft and moisturized afterward. 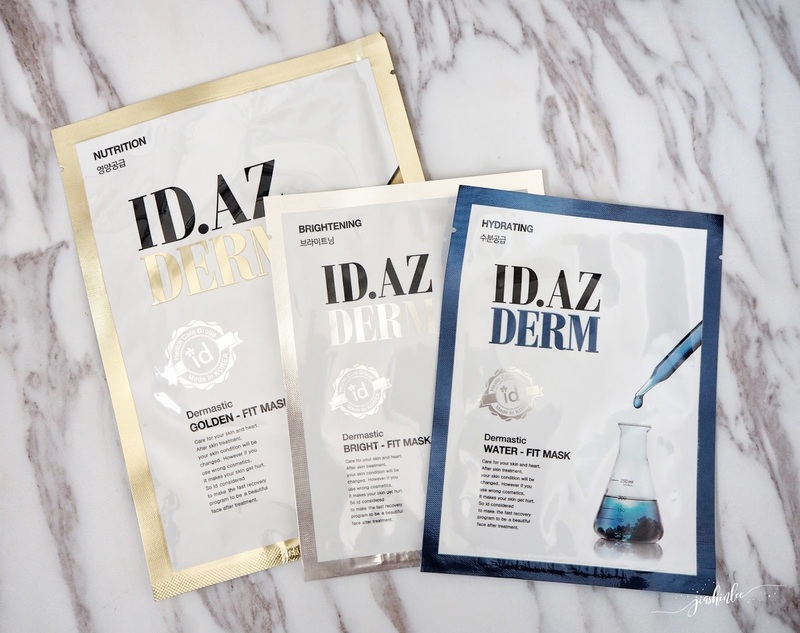 All three mask are suitable for both day and night use and I notice that using it before putting on my makeup actually helps my makeup last longer throughout the day. Loaded with ingredients like deep sea water, marine collagen, and hyaluronic acid so if you're looking for something to quench your dry skin with calming effect this is perfect for you. The essence is nice and watery, it absorbs into my skin very easily and leaves it feeling hydrated and soft. For a more even skin tone, try this mask, it brightens your skin tone and gives you a great glow after using it. The essence of this mask is thick and gooey, unlike the water-fit mask. After using it I love how subtle and glowy my skin looks. 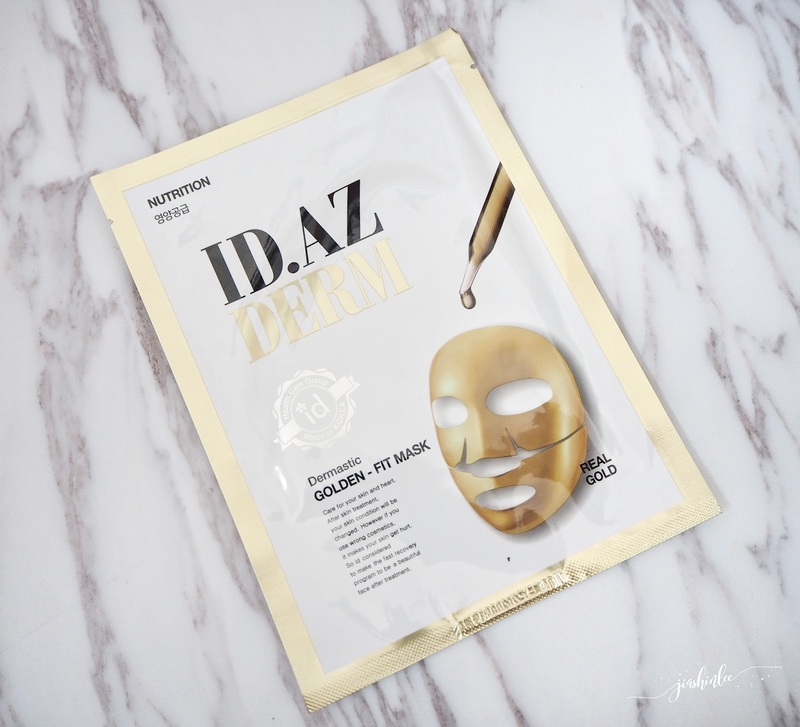 ID.AZ most popular mask, the luxurious Golden-Fit hydrogel mask that help lifts sagging skin and it is as effective as the popular treatment at ID dermatology with its ingredients like gold to purifies and brightens skin, and honey, royal jelly, propolis turn your skin elastic and healthy. 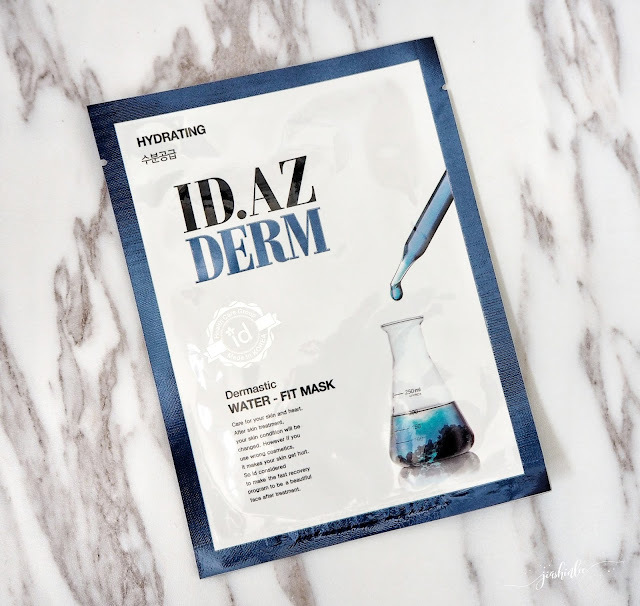 As part of their launch in Watsons ID.AZ is introduction their mask at this amazing introductory price, buy 2nd @ RM1 from 7 December 2017 until 3 January 2018. If you happen to pop by a Watsons, get yourself some ID.AZ Premium Face Mask. Your skin will thank you for it. see other friends promote this mask..like for gold.. I never try the gold mask before. This look good! wahh feel fresh tak selepas guna mask? I nak try jugalah satu. Wow! Definetely will try these mask. 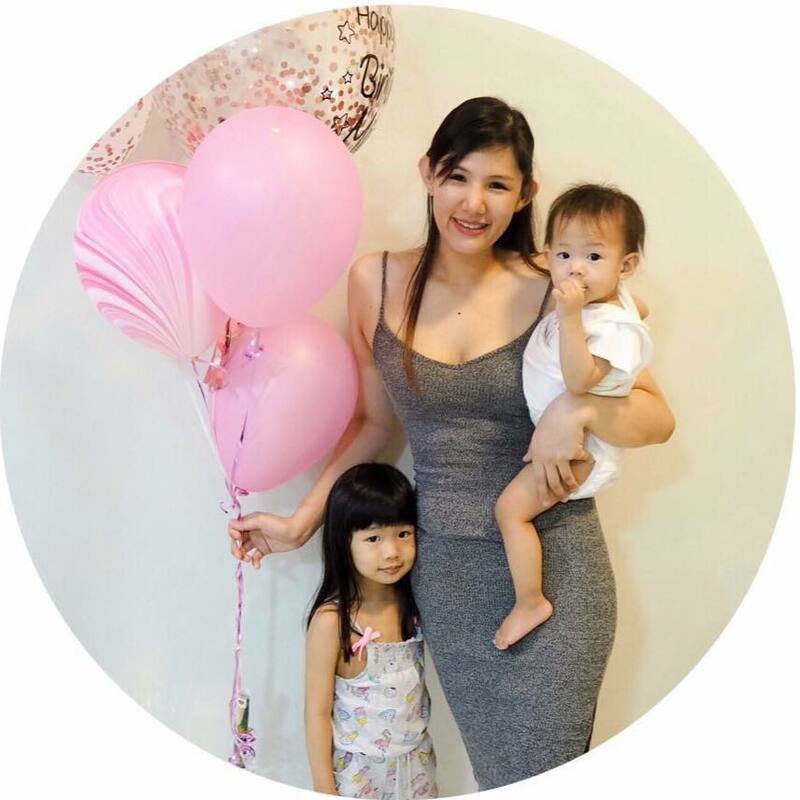 As a mompreneur, i have lack of sleep and lack of rest. Need these mask to feel fresh. wah look interesting, i tink i should try this. Next time i see this in drug store, i want to buy !! The gold one looks so beautiful - and I know that now I want to buy them masks - as I love doing masks. The water fit mask and gold mask is marvelous. I love it so much.